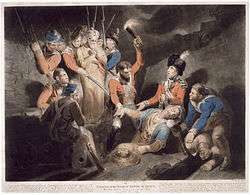 The Fourth Anglo–Mysore War (1798–1799) was a conflict in South India between the Kingdom of Mysore and the British East India Company. 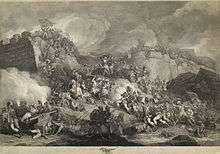 This was the final conflict of the four Anglo–Mysore Wars. 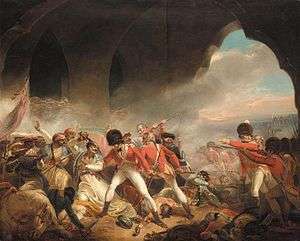 The British captured the capital of Mysore. The ruler Tipu Sultan was killed in the battle. 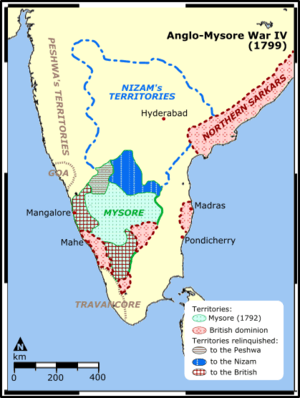 Britain took indirect control of Mysore, restoring the Wodeyar Dynasty to the Mysore throne (with a British commissioner to advise him on all issues). Tipu Sultan's young heir, Fateh Ali, was sent into exile. 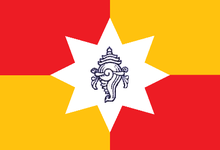 The Kingdom of Mysore became a princely state in a subsidiary alliance with British occupied India and ceded Coimbatore, Dakshina Kannada and Uttara Kannada to the British. Today, the spot where Tipu's body was discovered under the eastern gate has been fenced off by the Archaeological Survey of India, and a plaque erected. The gate itself was later demolished during the 19th century to lay a wide road. ^ Corner, Julia (1840). The History of China & India, Pictorial & Descriptive (PDF). London: Dean & Co., Threadneedle St.,. p. 334. Retrieved 23 March 2015. ↑ Naravane, M.S. (2014). 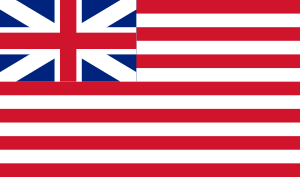 Battles of the Honorourable East India Company. A.P.H. Publishing Corporation. pp. 178–181. ISBN 9788131300343. ↑ Holmes, Richard (2003). 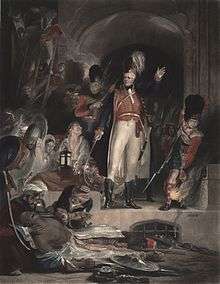 Wellington: The Iron Duke. Harper Collins. p. 58. ISBN 0-00-713750-8.